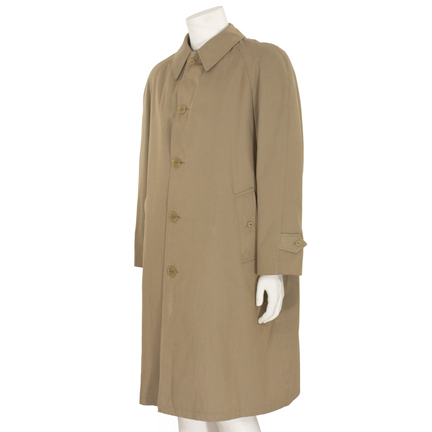 This trench coat was worn by the character “Edward Delaney” played by legendary entertainer Frank Sinatra in the 1980 motion picture “The First Deadly Sin” also starring Faye Dunaway. 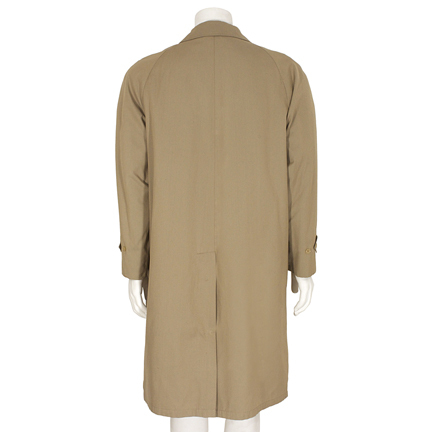 The trench coat by Brooks Brothers is constructed out of a tan cotton material with plaid lining, and has a removable “zip-out” black lining. The original costumer’s tag is attached reading “F.S. 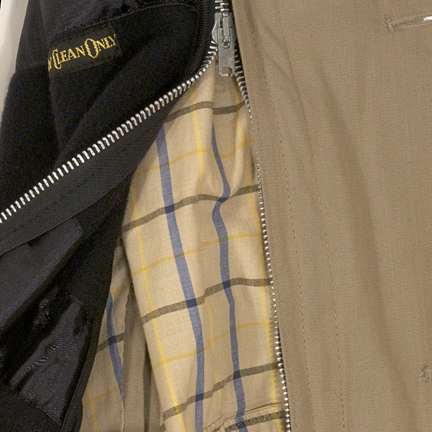 Raincoat”. 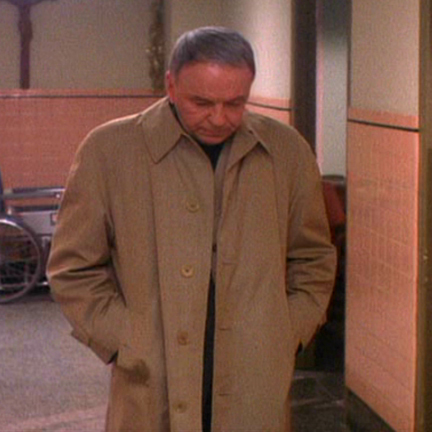 Mr. Sinatra first appears wearing the coat during the scene where Delaney arrives at the hospital to check on his ailing wife “Barbara” (played by Dunaway) and learns from her doctor that she’s had a relapse and is suffering from infection. After an emotional scene, Delaney goes to a bar and consults with a police colleague about getting a body exhumed, then returns to his apartment to review more information regarding the serial killer case he’s working on. 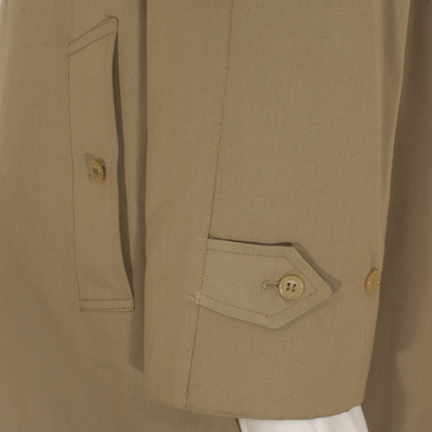 This garment was acquired directly from Mr. Sinatra’s personal costumer and longtime friend, Michael Castellano. Mr. Castellano began working with the entertainer in 1976 after replacing Sinatra’s previous personal aid, Eddie Fitzsimmons. Mr. Castellano quickly became Sinatra’s “right hand man” and performed numerous duties for Mr. Sinatra while maintaining his stage and personal wardrobe collection. 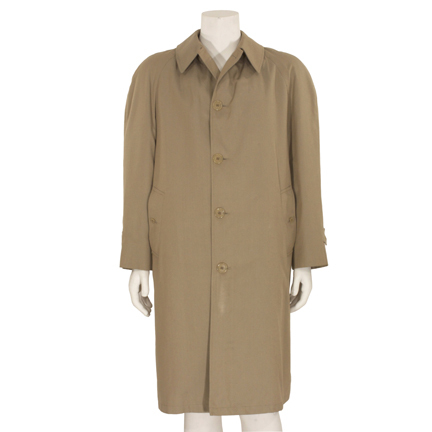 Mr. Castellano was Sinatra’s personal costumer and assistant on “The First Deadly Sin” and verified that Sinatra retained this coat and several other screen used wardrobe items in his personal possession after the production was completed. Mr. Castellano received this hat as a personal gift from Sinatra prior to leaving his service in 1981. 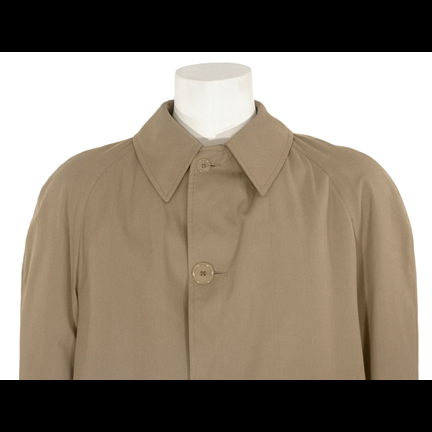 The coat is in vintage screen worn condition with minor evidence of age and is accompanied by a letter of authenticity from Mr. Castellano. 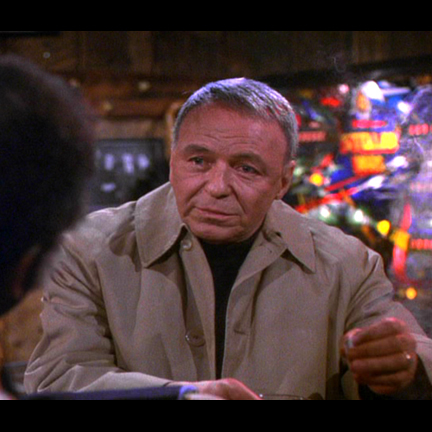 Frank Sinatra co-produced “The First Deadly Sin”, and the film featured his last performance in a major motion picture. 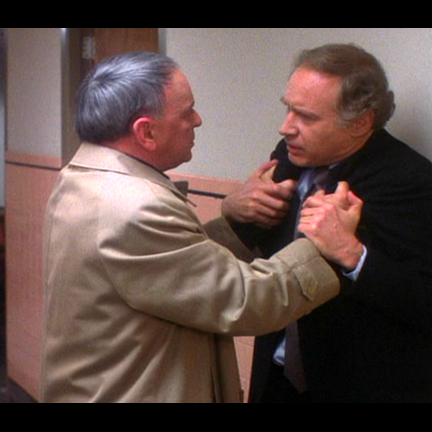 The film is also notable for actor Bruce Willis’ first onscreen appearance (in an un-credited background role). The movie was nominated for an Edgar Allen Poe Award for “Best Motion Picture” in 1981.